I will call it the Common URL Pattern. In a real-world scenario it would resolve to something like: http://www.test.example.com/support. Here is the same pattern again but this time expressed by throwing some UML around. And finally by way of explanation, some comments on the parts. 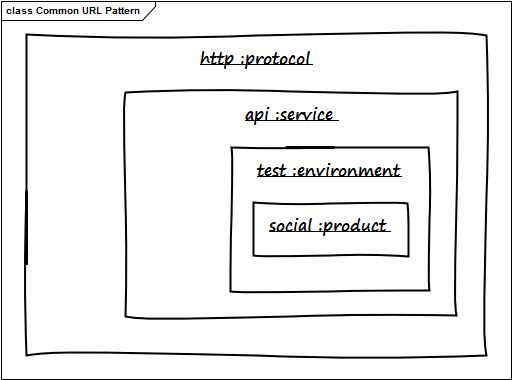 It seems like a fairly adaptable model that can be applied to a large number of websites and web-based applications. Previous Previous post: Are WADLs yesterday’s news?